A CRM is becoming an essential tool to help ensure GDPR compliance while continuing to market effectively. Contacts can be added automatically from forms integrated on your website. Contact Activity then proves subscriber consent while giving you the tools to improve your marketing communication. 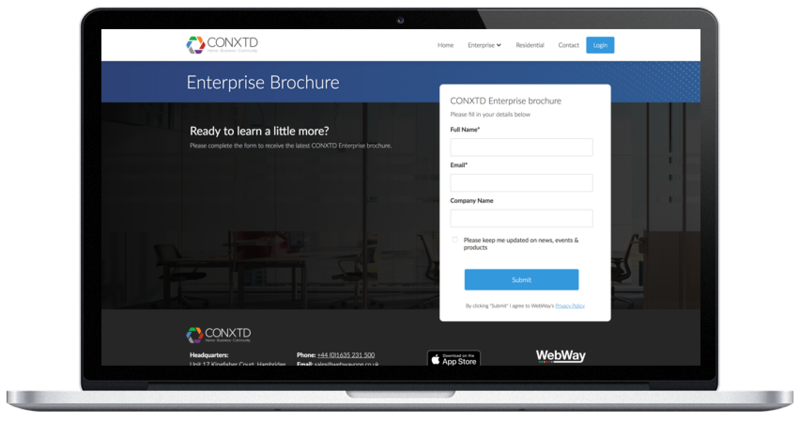 Capture contacts from Contact Forms, Newletter Subscriptions and Lead Generation forms automatically. Segment contacts into Lists to better communicate the information they show an interest in. The whole process is set up to be GDPR compliant; we help you ensure you follow the guidelines. Don't wrestle with fiddly HTML, just insert your content, images, links and you're ready to go! Create one-off emails, monthly newsletters and trigger-driven autoresponders and campaigns. Now any business can run a successful digital marketing campaign - and with no specialist knowledge. Marketing can be time-consuming and requires an ongoing strategy. 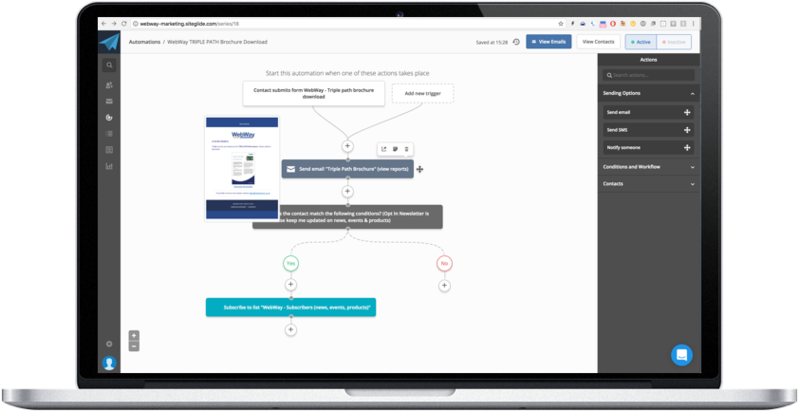 Use Automations to help increase conversions and reduce time spent managing campaigns. Create and publish engaging Call To Actions that encourage conversions directly within your website. With the Siteglide Marketing Suite everything is integrated, meaning the entire campaign flow is simple to manage. Link a Blog Post to a Landing Page with Subscription Form; send an email via our Marketing Automation Suite and analyse performance via our Analytics Dashboard. The Siteglide Marketing Suite is simple to use but has everything you need. Build stunning, effective Landing Pages to maximise conversion rates and automate lead generation. GDPR-compliant forms that capture customer data into the Contact Manager automatically. An easy-to-use CRM that is at the centre of all your marketing activity as well as sales & support processes. Segment your database and manage separate lists that can then be used in Campaigns and Automations. 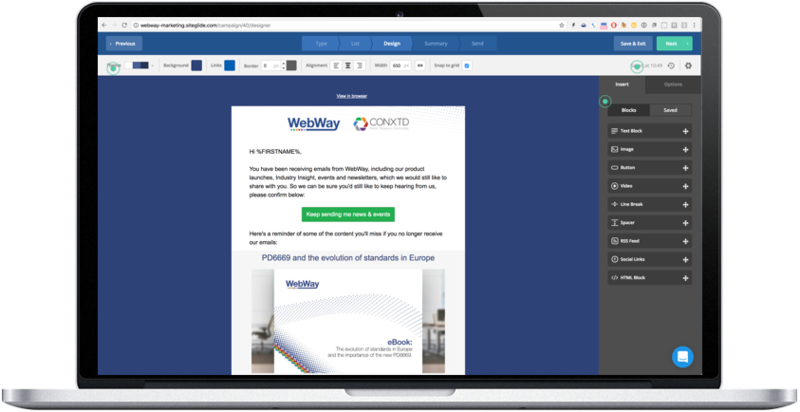 An easy-to-use drag and drop email builder that helps you put professional campaigns together in minutes. Link Landing Pages, Forms, Mailing Lists and Emails to manage your entire campaign flow. Take it even further with triggers and actions that automate your marketing and increase engagement. Manage sales opportunities, deals and even support all from one simple interface within Siteglide.